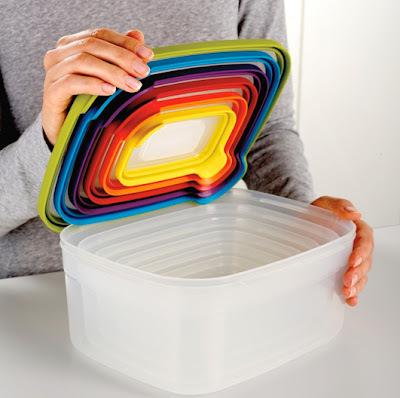 Finding good food storage containers is always a challenge. How do you store them without having them take over the kitchen? 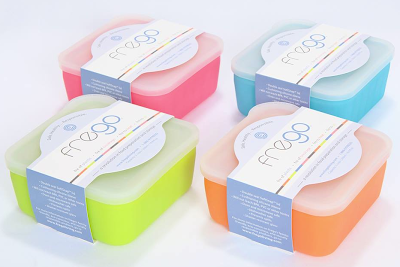 What if you prefer glass to plastic, but are concerned about using glass with children? Two new products are designed to address the first concern; another product that’s a couple years old addresses the second. 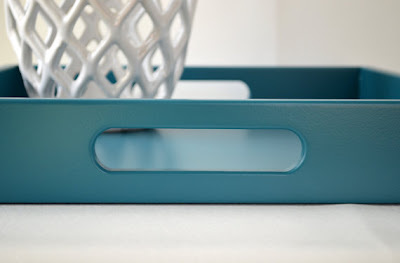 For those concerned about storage space, there’s the brand-new Nest Storage from Joseph Joseph — where both the containers and the lids are nested. 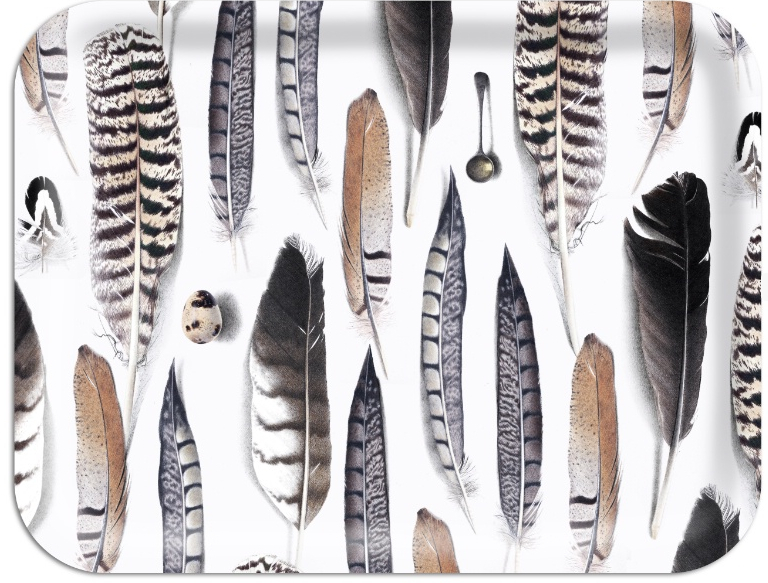 There are 4-piece and 6-piece sets available. 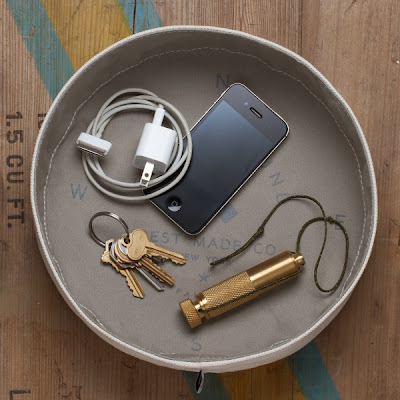 Another new product, Stackerware, has just launched in Kickstarter. 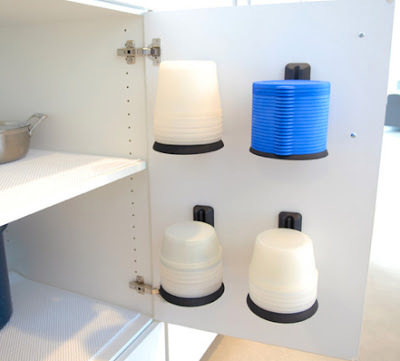 Here containers are nested, and both containers and lids are stacked on specially-designed bases. The bowls come in three sizes, and the same lids fit all of them. 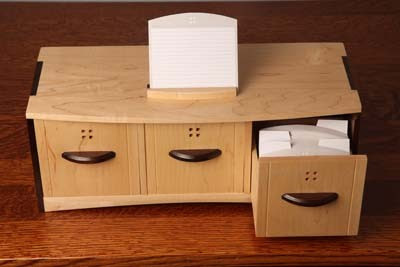 They can be stored in a drawer, or the bases can be mounted on the back of a cabinet door, under a cabinet or shelf, etc. Both the Nest Storage and the Stackerware are made from BPA-free plastics, and are said to be microwave, freezer and dishwasher safe. But what if you’d prefer glass, especially for containers which may be used in the microwave? Do you still use paper recipe cards? While many people have gone to digital solutions, others still prefer to keep their recipes on paper, and the recipe card still has its fans. 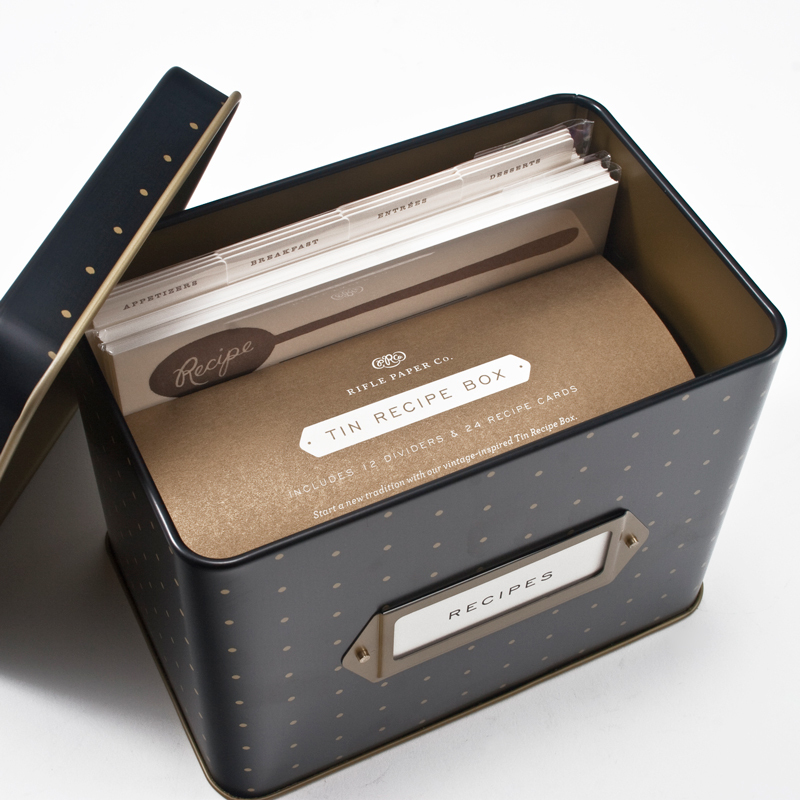 And recipe boxes don’t always need to be used for recipes; I’ve seen them used as address boxes, too. 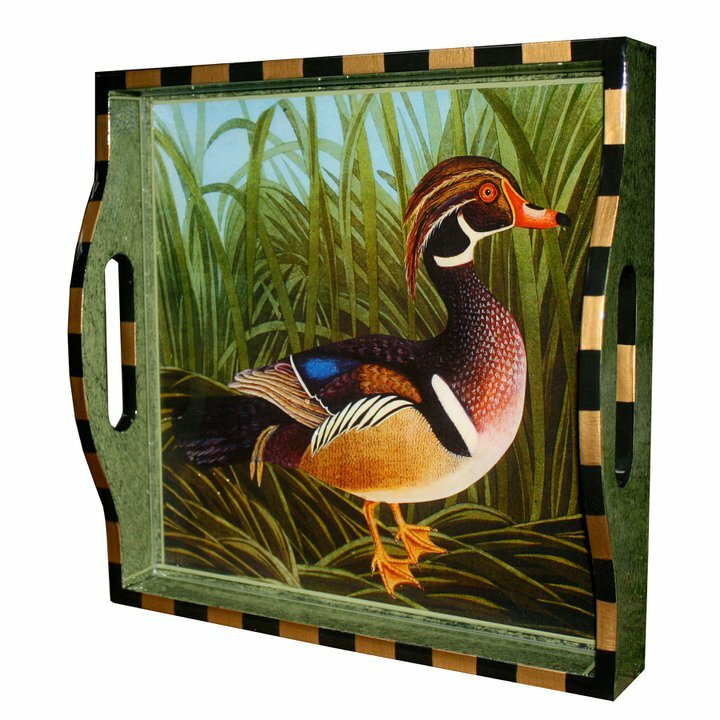 Some of the most stunning recipe boxes I’ve seen come from Timber Territory. This is the three-drawer box; there’s also a one-drawer version. Update on July 18, 2018: The Timber Territory website has disappeared. 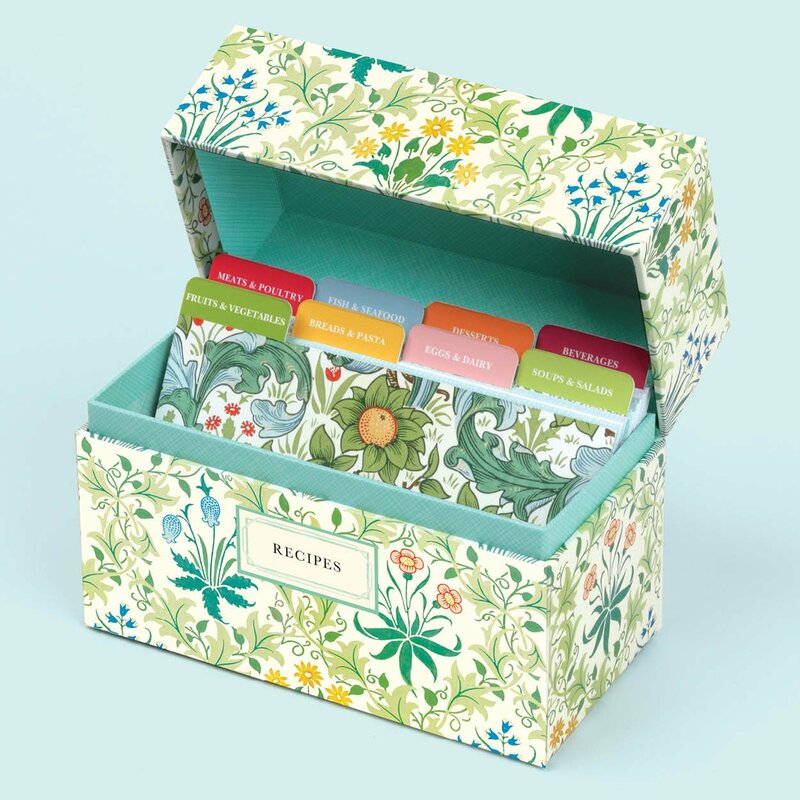 The William Morris recipe box from Gallison is also stunning, in a totally different way. 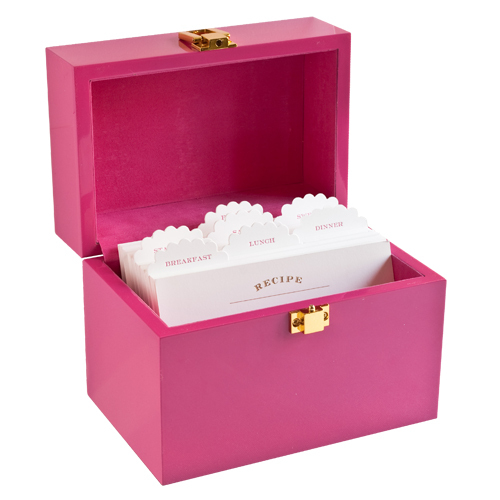 This recipe box from Sugar Paper with its hot pink lacquer provides quite the splash of color. And for something more sedate, there’s a polka dot recipe tin from Rifle Paper Co., also sold by See Jane Work. 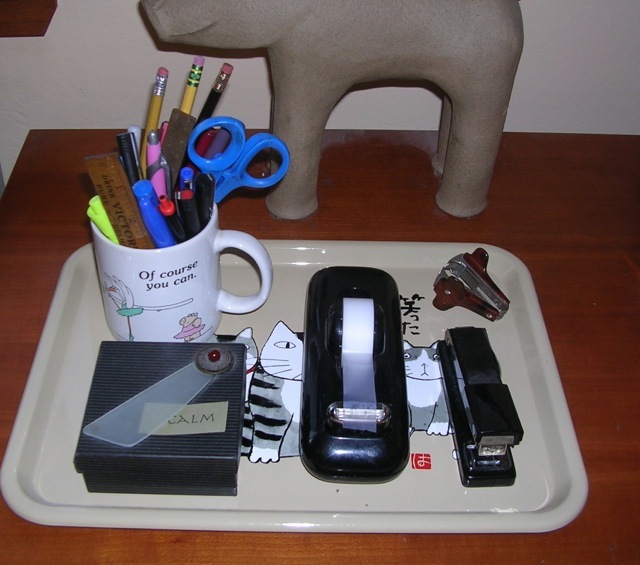 Welcome to a tiny bit of my home office, where you can see the tray I picked up in San Francisco’s Japan Town. Other people use trays as organizing tools in their kitchens — and when I featured a gorgeous tray in a prior post, two people chimed in with other ways trays can be used. Anyone who read the Moomin books as a child (or as an adult!) 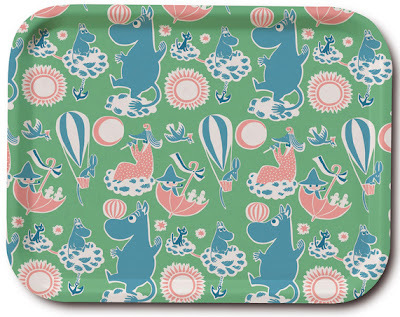 might enjoy this Moomin tray made by Opto Design, or one of the others sold by Moomin. You can also find many of the Moomin trays at Huset. 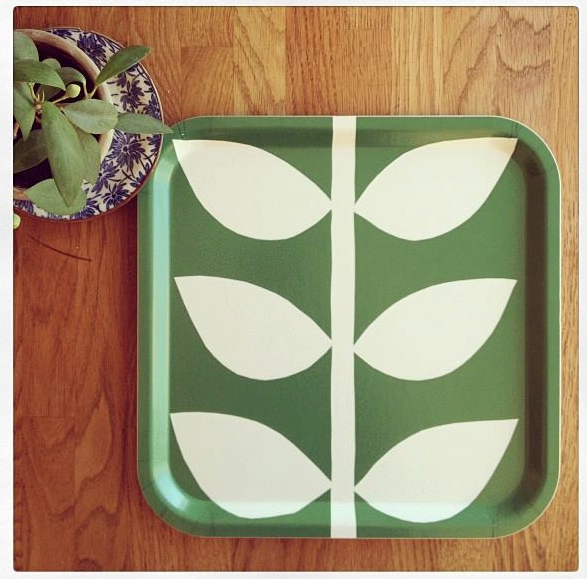 Many of Moln’s trays feature much simpler patterns, such as this leaf, and your basic dots. They come in various sizes and colors. Update on May 9, 2018: I'm no longer finding these products. It was a real struggle to pick just one items from Åry Trays to show you; the trays feature the work of many artists, and so many of them are delightful. This one features the art of Michael Angrove, but also take a look at those with art from Lush Designs. They’re made from Scandinavian beech wood. Want something very simple? 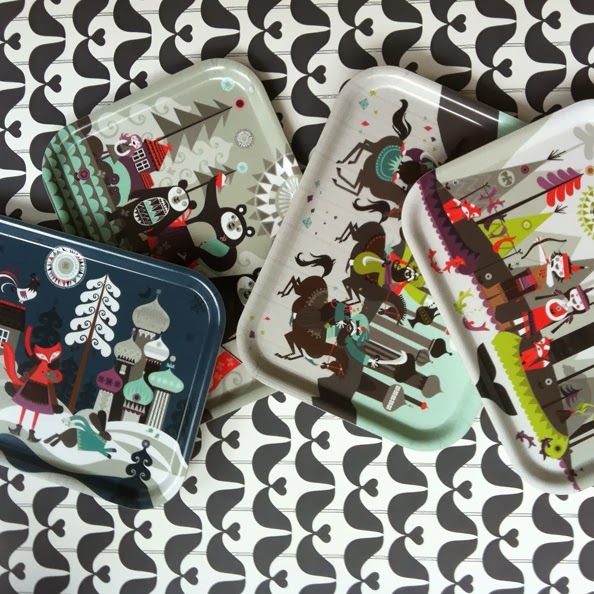 Gleaming Renditions has some solid-color trays that might work for you. 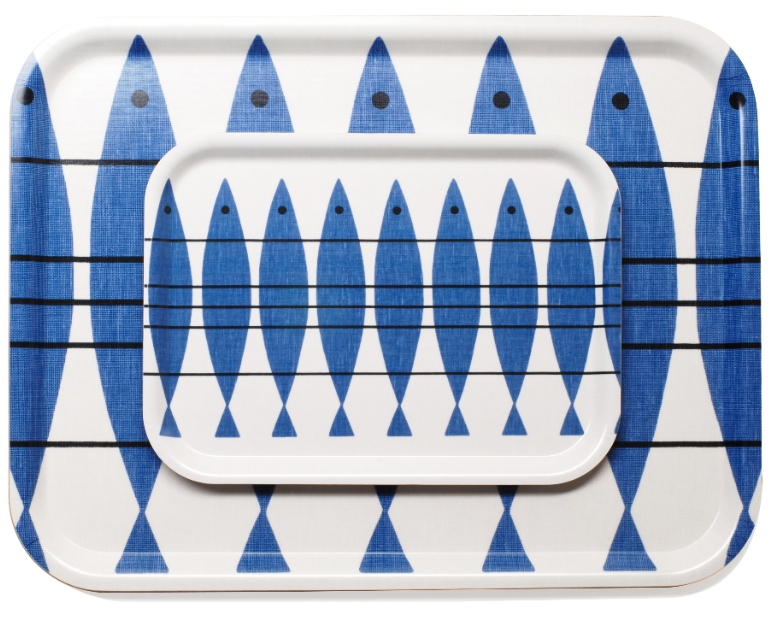 This is the Fionia tray from Skagerrak (previously from Trip Trap); it comes in two sizes, and you can choose between teak and oak. 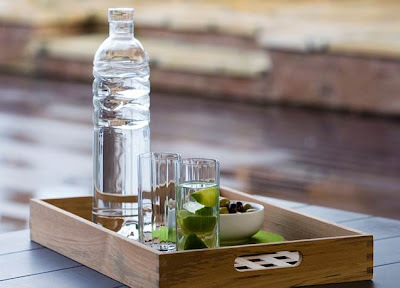 You can get one in teak at Design Within Reach. Here's something very different: the duck canvas utility tray from Best Made Company. This reminds me a bit of the vide poches I wrote about long ago. Update on May 9, 2018: I'm no longer finding this product. 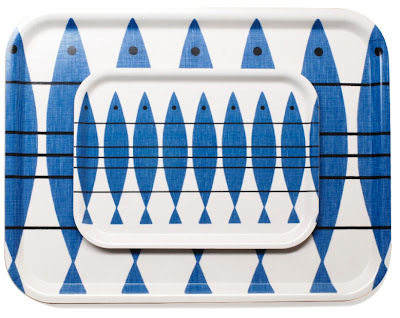 Finally, if you have a lot of money to spend and like the style, you could get a tray from Annie Modica. 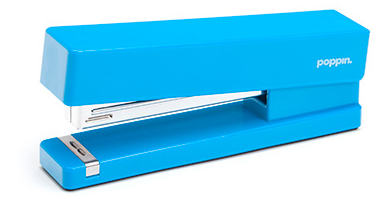 Unless you’ve gone entirely paperless in your home or office, you’ll probably need a stapler as a basic organizing supply. 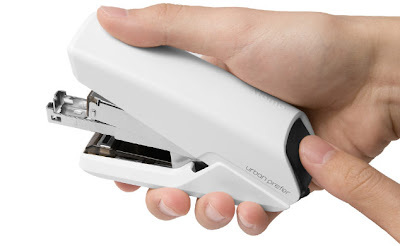 While your basic Swingline stapler will generally work just fine, you can also get something a bit out of the ordinary. 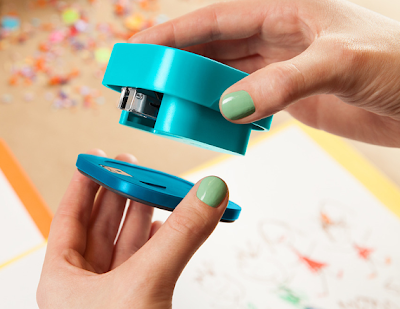 If you’d like to go colorful, head on over to Poppin, which has staplers in 10 colors. 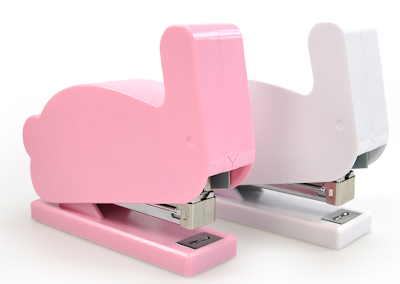 If you’re into cute, take a look at Mustard’s bunny stapler. 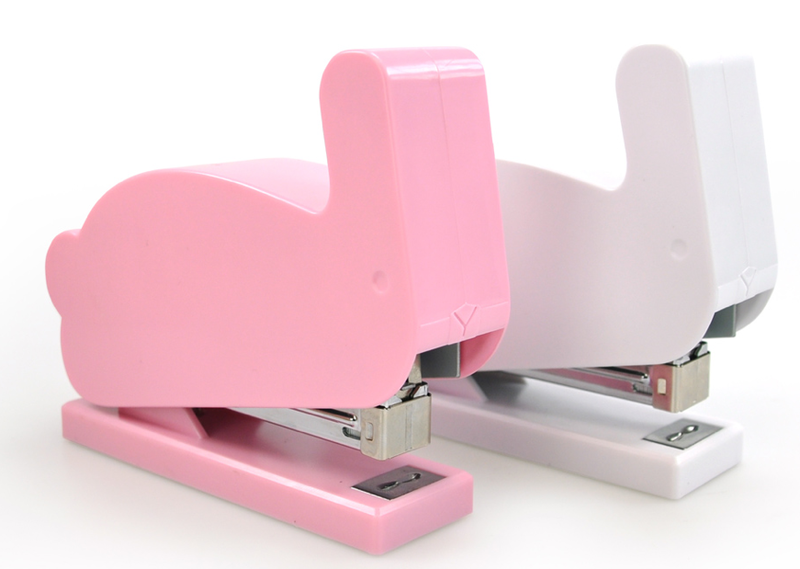 For ease of use, there are a number of staplers from Urban Prefer: the Atomo, the A Posture and the Lipstick. All are designed to be what the company calls “energy efficient” — that’s your energy (or squeezing power) they’re talking about. 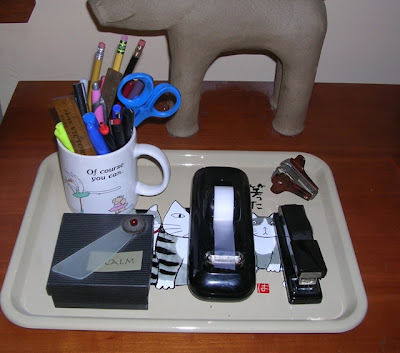 For example, with the Atomo you “just gently press to staple up to 30-35 sheets with minimum effort.” The Atomo is the heavy-duty one of the bunch; the others have the same gentle-press design, but accommodate fewer sheets of paper. Some people want to hang onto their wedding gowns forever — and that’s fine. Others choose to sell or donate their dresses. 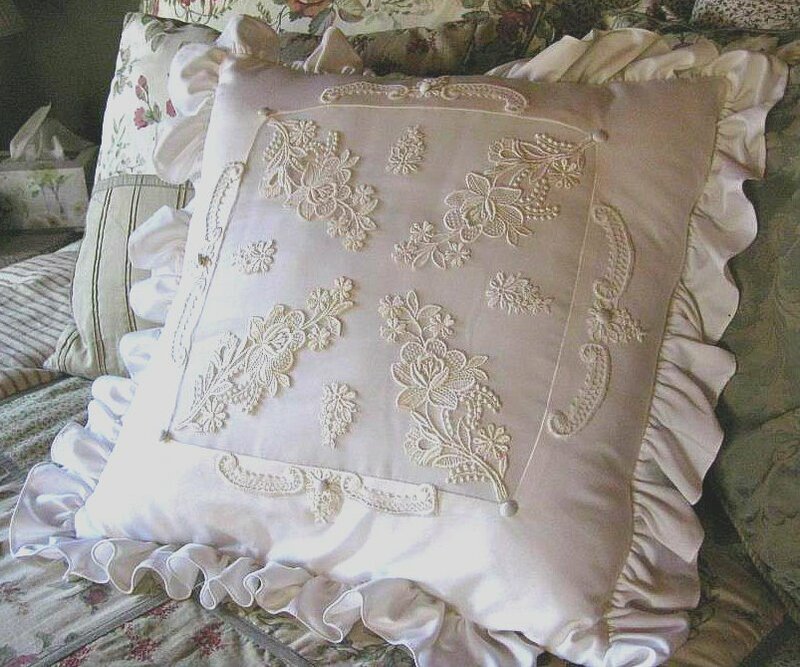 But another option is to turn your gown into something else — something beautiful (and useful) that isn’t hidden away in a closet. 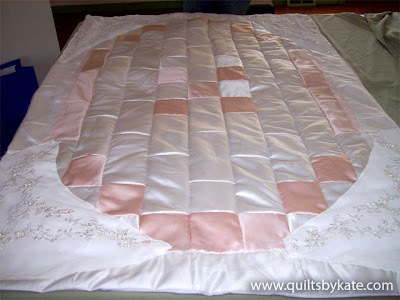 Another option is to turn your wedding dress into a quilt; Quilts by Kate made the one above. 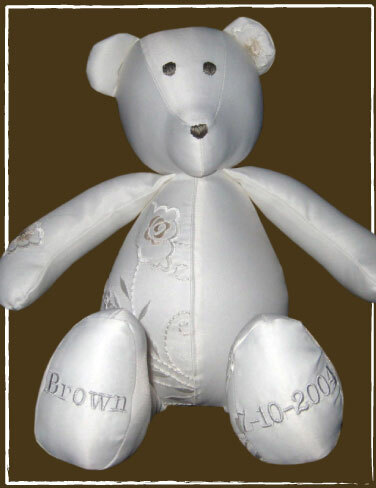 And The Patchwork Bear can create one of its bears from your wedding dress, if the fabric is one that will work for a bear. A pillbox I freecycled on behalf of a client. Sometimes organizing is about looking for ways to simplify things, and this is a situation calling out for simplification. In the past couple days, I've read about two companies that help with this. 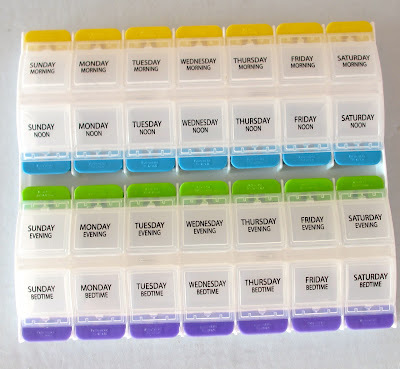 I heard about the first one from Morgan Gleason, who takes 10 medications. You can hear her talk about this in the video above, which you can also see via this YouTube link. The company Morgan is working with is HealthStatRx, "a full service specialty pharmacy, with a comprehensive line of products and services to meet the needs of homecare patients with any chronic disease state." 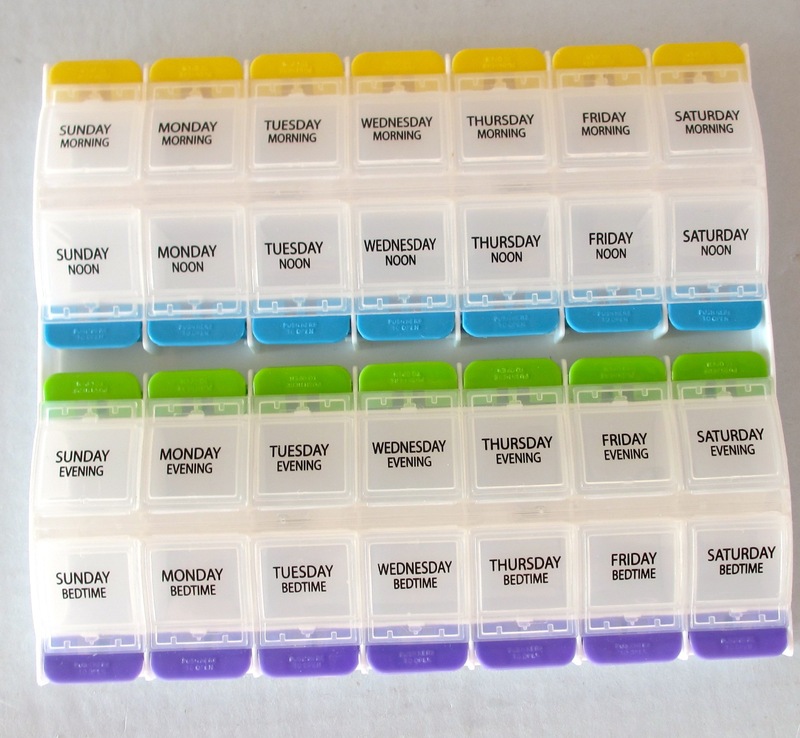 This includes custom blister pack medications and home delivery. 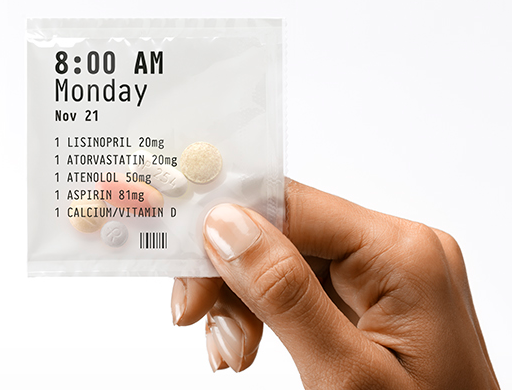 Essentially, the program allows customers to have their medications shipped to them every two weeks in a (yes, two-week) roll of individual packets that are organized by time and date — rather than using those standard, ubiquitous bright orange pill bottles. Beyond their prescriptions, customers can also sign up to receive any over-the-counter medications or vitamins that they happen to be taking on a regularly basis as part of each shipment. And AccuPax, which I heard about some time ago from organizer Mary Donovan, also seems to provide a similar service; that's its tagline above. The company provides statistics on how often medication errors happen; avoiding these problems is why using such a service might be a good idea. Obviously, I am not a doctor, a pharmacist, or an insurance specialist — and I don't know if these services are right for anyone. But, for some people, they seem like services that might be worth investigating — in consultation with their own medical professionals. As I resume my effort to clear my own bookshelves, I’m sharing some of the wisdom I found in the books I’m passing along. 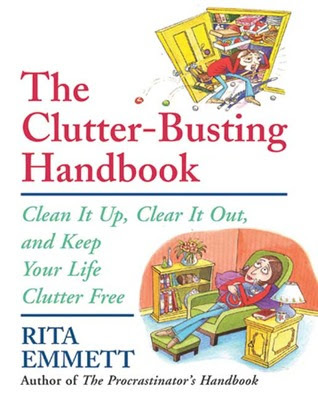 Today, one of those books is The Clutter-Busting Handboook, by Rita Emmett. According to the Avery newsletter Great Results, the average three-bedroom house today contains approximately 350,000 items. Children feel just as overwhelmed with clutter as we do, but they don’t know what to do about it. 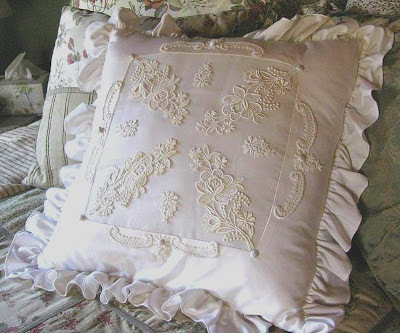 ... To help them de-clutter their rooms is one of the kindest gifts you can give them. To be clutter-free gives you not only more physical space but also more emotional space. When you are surrounded by confusion, you feel confused; when you are surrounded by junk, you feel junky. Clutter can sabotage goals and dreams. There is a definite connection between clutter and a person’s feelings of self-worth. For those of you who want even more organizing product information than you see here, please come read my weekly posts on Core77. 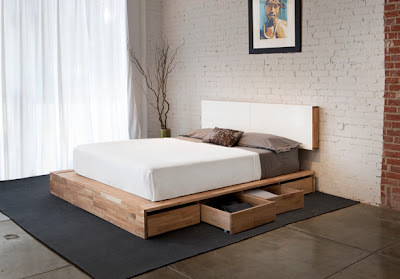 I've just started writing there — my first post is Bedroom Storage: Making the Most of the Under-Bed Space. Core77 has been around since 1995, serving the industrial design community, and I’m honored to be a contributor. I’ll have a new post up every Thursday. And if you didn’t realize it, I also have a weekly blog post on Unclutterer. This one alternates; some weeks it’s on Tuesday, other weeks on Thursday. Recent posts include Getting big projects done: best practices from successful writers and Share stuff: one way to reduce clutter.